More churches will continue to grow every year by at least one new adult profession of faith, at least one more person in worship, at least one additional small group, and at least one more ministry that reaches into the mission field. Every single church—regardless of its size—can be vital and reach its mission field with excellence and passion. The content of this Ministry Toolbox is crowd-sourced. Do you have an article, book, or resource that will assist congregations “Grow by One”? If you have a resource recommendation for the Toolbox, please send it to CenterforVitality@arumc.org. The Arkansas Conference does not endorse all the ideas presented in these resources, but wishes to provide pastors and congregational leaders with a variety of helpful tools to grow the church through professions of faith, worship, new small groups, and new ministries that reach the mission field. Please also see the free ShareChurch Resources provided by the UM Church of the Resurrection. Evangetality: Best Practices For Evangelism And Hospitality by Jim Ozier. This article is featured in the Evangelism Versus Hospitality: Do They Come? Do They Stay? (May/June/July 2015) issue of Circuit Rider. Through engaging videos, presentations, and supplemental materials, The Lewis Center Provides explores strategies your congregation can use to reach beyond its walls with worship, community events, ministries, and service. Print, DVD, and online video resource kits. This article was adapted from The Naked Truth About Small-Group Ministry. Each principle has a few discussion questions for a small group to examine their own practices and equip one another to be community missionaries. As a church leader, you are (probably) targeting the wrong people with your ‘evangelism’ efforts. You are operating a model that no longer works, because it is too passive, too polite, and focused in the wrong direction. You are not making new disciples, not adding significantly to Christ’s transformation of the world. And you—or at least your congregation–are (probably) unaware of this fact. There is hope, and you will find it in these pages. Farr, Kotan and Anderson reveal the ways most churches unwittingly misdirect their reach into the community. The authors show in practical terms how to change the habits of leaders and entire congregations, so that invitation is natural, constant, systemic, genuine, and easy. Get Their Name clearly demonstrates how your church can change, and equips your people to share their faith in a way that is effective, biblical, and transformational. We’re all witnesses to something or someone,”” writes Crandall. “”As Christians we’re Christ’s witnesses. It’s our identity, not merely something we do or don’t do.”” Witness guides you to learn more about your faith and to speak invitationally with others about beliefs. Crandall has outlined a 25-week small group study that focuses on the important parts of faith. Through Bible study and group interaction, you’ll identify your gifts for ministry and learn to witness to others in a natural and effective way. “”Witness is the perfect resource to persuade people that witnessing is a personal (and possible!) faith mission. Using Witness as our sole programming … helped our members achieve a greater comfort level in faith conversations,”” writes one pastor. Embark on a journey where you’ll be challenged to discover who you really are, what you believe and what really matters in your life. What if you knew that by simply crossing the room and saying hello to someone, you could change that person’s forever? Just a few steps to make an eternal difference. It has nothing to do with methods and everything to do with taking a genuine interest in another human being. All you need is a heart that’s in tune with the Holy Spirit and a willingness to venture out of your “Circle of Comfort” and into another person’s life. 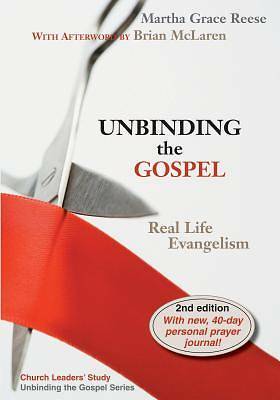 Just Walk Across the Room brings personal evangelism into the twenty-first century. Building on the solid foundation laid in Becoming a Contagious Christian, Bill Hybels shows how you can participate in the model first set by Jesus, who stepped down from heaven 2,000 years ago to bring hope and redemption to broken people living in a fallen world. Now it’s your turn. Your journey may not be as dramatic, but it can have a life-changing impact for someone standing a few steps away from you—and for you as well, as you learn the power of extending care, compassion, and inclusiveness under the guidance of the Holy Spirit. The highest value in personal evangelism is cooperating with the Spirit, says Hybels. This means playing only the role you’re meant to play—walking when the Spirit says to walk, talking when he says to talk, and falling silent when he suggests that you’ve said enough. Hybels encourages you to “live in 3D” … Developing friendships, Discovering stories, Discerning appropriate next steps … as a means of learning to understand the Holy Spirit’s promptings. With fresh perspectives from his own reflections and experiences collected during his most recent decade of ministry, Bill Hybels shows with convincing and inspiring clarity the power of this personal, richly relational approach to evangelism. The stakes are high. The implications are eternal. And you may be only a conversation away from having an eternal impact on someone’s life—if you will just walk across the room. The gospel is nothing without relationship. And no one gets it like the Google Generation. God came to earth to invite us, personally, into a relationship. And while Christians at times downplay relationships, the social-media generation is completely sold on the idea. In “Viral, ” Leonard Sweet says Christians need to learn about connecting with others from the experts–those who can’t seem to stop texting, IM-ing, tweeting, and updating their Facebook statuses. What would happen, he asks, if Christians devoted less attention to strategies and statistics and paid more attention to pursuing relationships? Ministry Matters™ offers practical and immediate inspiration for preachers, teachers, and worship leaders. With thousands of original articles and blogs, unique book reviews, and weekly worship and preaching helps in the This Sunday area, MinistryMatters.com provides both community and inspiration to Christian leaders. Tens of thousands of pages of full-text research and reference materials are available in the Ministry Matters Premium Subscription–everything from The New Interpreter’s Bible and the Abingdon Old and New Testament Commentaries to devotions, prayers, and sermon starters. TextWeek provides a lectionary study desk of crowd-sourced preaching and worship helps: Commentaries, liturgies, movie references, art references, and sample sermons. Click on a date to find direct links to a wide variety of contemporary and historical resources for study & liturgy for each lectionary week and pericope, or check out the Scripture Index to locate links to study resources relating to specific passages. Imagine announcing a new series of sermons and seeing worship attendance increase by 1,000 people on the first Sunday of the new series. Or consider a pastor developing sermon plans two to three years out. What kind of pastor sits in a bar with a notepad just looking for ideas for sermons? Or has as his aim to preach the best prepared, best researched sermons his congregation has ever heard? In Unleashing the Word, Adam Hamilton helps pastors and church leaders consider the purpose, planning, and execution of excellent preaching. He offers detailed descriptions of the sermon planning, writing and preaching process behind one of the fastest growing churches in the United States. He includes numerous personal anecdotes and enough sermon ideas to keep the average pastor busy for years! Finally, after you have read how sermons are planned and prepared at the Church of the Resurrection you can watch the included DVD which features four full-length sermons and other resources to help you apply what you’ve read in the book. The thought of speaking in public strikes fear in the hearts of many. And yet we are often called upon to speak, teach, preach or make presentations in our work and personal lives. Adam Hamilton knows a thing or two about what it takes to be an effective speaker; he’s delivered nearly 6,000 sermons, speeches and lectures and is an acclaimed presenter around the globe. In Speaking Well, he offers powerful principles that can significantly improve the reader’s effectiveness as a speaker in any setting. These principles are shared in succinct, easy-to-digest chapters that include examples and real life illustrations, helping the reader to immediately build skill and confidence. A down-to-earth, practical introduction to the ins and outs of preaching for lay preachers, bivocational pastors, and others newly arrived in the pulpit. Recent years have seen a considerable increase in the amount of financial resources required to support a full-time pastor in the local congregation. In addition, large numbers of full-time, seminary trained clergy are retiring, without commensurate numbers of new clergy able to take their place. As a result of these trends, a large number of lay preachers and bivocational pastors have assumed the principal responsibility for filling the pulpit week by week in local churches. Most of these individuals, observes Clifton Guthrie, can draw on a wealth of life experiences, as well as strong intuitive skills in knowing what makes a good sermon, having listened to them much of their lives. What they often don’t bring to the pulpit, however, is specific, detailed instruction in the how-tos of preaching. That is precisely what this brief, practical guide to preaching has to offer. Written with the needs of those for whom preaching is not their sole or primary occupation in mind, it begins by emphasizing what every preacher brings to the pulpit: an idea of what makes a sermon particularly moving or memorable to them. From there the book moves into short chapters on choosing an appropriate biblical text or sermon topic, learning how to listen to one’s first impressions of what a text means, moving from text or topic to the sermon itself while keeping the listeners needs firmly in mind, making thorough and engaging use of stories in the sermon, and delivering with passion and conviction. The book concludes with helpful suggestions for resources, including Bibles, commentaries, other print resources and websites. Discipleship Ministries (the UMC General Board of Discipleship) provides worship leaders with quality United Methodist music, liturgy, and preaching resources for faithful and vital local church worship. If your church has one service at 11:00 am on Sunday mornings, it is likely in the minority. In a recent reader survey LifeWay conducted with 1,649 responses, slightly over half of the congregations had only one worship service on Sunday morning, and the times of that single service varied. The “sacred hour” of 11:00 am is no longer the worship time for a majority of churches. Our churches exist in order to glorify God and to share God as revealed in Jesus Christ. Thus, worship is at the center of the congregation’s life. And improvements in worship tend to spur improvements in the church’s other ministries. When a church’s worship is not vital, what happens to that church? Church leaders and laity know too well the dismal answer to that question.In Overflow, Lovett Weems and Tom Berlin share research-based insights and tactical ideas that result in improved worship attendance and in fruitful congregations. The authors identify practices that lead to increased attendance. They offer clear instruction, showing church leaders the areas where we must pay attention throughout the year, and demonstrating new ways to approach worship planning. Weems and Berlin present church leaders with another resource that is at once foundational and practical, convicting and accessible. Church leaders yearn to see more people worshipping God; Overflow provides encouragement and equipping to bear such fruit. A three-part small group study designed to create environments where people experience growth and support as they engage in the discipleship journey. Hyde Park United Methodist created an intentional discipleship pathway which provides a framework for uniquely Methodist disciple-making. Transformational discipleship involves moving from the row of chairs in your church or church pew where you are simply in proximity to one another, to sitting in circles, to then being in community with one another. There are five elements of a transformational small group environment: mission orientation, word-driven mentality, multiplication mindset, stranger welcoming, and kingdom focused. Alcoholics Anonymous has forever changed the church. And it has done it right under our noses. Or better put, in our church basements, classrooms and meeting rooms. AA introduced the concept of spirituality apart from religion. It took away the middleman. It has put into place the most successful self-duplicating, small group model in recent history. And it has done this by emulating the model of the early church. Included are the top 15 things AA can teach the church. Join Adam Hamilton for a six-week journey as he travels to England, following the life of John Wesley and exploring his defining characteristics of a Wesleyan Christian. Wesley’s story is our story. It defines our faith and it challenges us to rediscover our spiritual passion. Leader, participant, and DVD resources available. What’s so big about small groups? With proven results in drawing people into community and helping them grow to maturity in Christ, small groups have established themselves as a crucial ministry of the church to its members and its mission field. But whether leading a small group, coaching small group leaders or implementing a churchwide ministry, you need vision, knowledge and skill to minister effectively through small groups. Jeffrey Arnold knows the pressures of small group ministry, but he has also seen the power of small groups in many ministry settings. In this revised edition of The Big Book on Small Groups, he breaks down small groups so that you can see them from all angles. 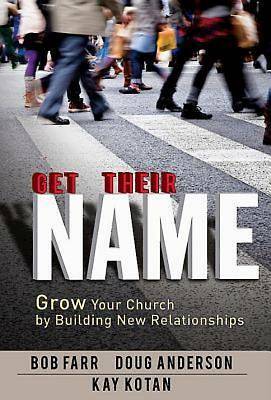 The first four chapters focus on the structure and benefits of a small group ministry. Further chapters explore the basics of Christian community–prayer, worship, Bible study, outreach and mission, as well as how to multiply groups. Resources for further reading, ideas for coaches and trainers, and curriculum to photocopy for small group sessions are also included. A constant companion throughout your small group ministry, The Big Book on Small Groups will give you the basics to get you going–and the support and nurture you need to make small groups effective as a strategy for outreach and discipleship. “A Community That is Christian: A Handbook on Small Groups.” By Julie Gorman. Over the past thirty years there has been a boom in small groups, both in society at large and within the church. From Bible studies to MOPS to Alcoholics Anonymous, it is estimated that four out of ten Americans belong to a small group that meets regularly for the care and support of its members. But are these groups creating true, biblical community, or do they settle for self-focus and personal gain? Julie Gorman has studied small groups for decades and presents her analysis, insights, and suggestions in Community That Is Christian, an essential resource for building community in church-based small groups. This comprehensive book serves both as a text for those who equip leaders or lead small groups and as an interactive manual for small-group members, helping them transform their relationships into Christ-centered community. The book begins with biblical support for coming together, contrasting it with our often individualistic mind-set that undermines community. Gorman then sets forth the goals of community and describes the process of transformation. She draws from extensive research to address the why and the how of small-group ministry, giving special attention to gender and cultural distinctions. Community That Is Christian provides readers with charts, discussion questions, and inventories to further help them establish community within their small groups. Guide for Covenant Discipleship Groups is organized in four parts. Part One provides an excellent account of the Wesleyan heritage that is the foundation of Covenant Discipleship groups. Part Two explains the nature, purpose, and goal of the groups. Part Three provides the “nuts and bolts” or the “how to do it” section of the book. In Part 4 Watson provides many useful helps for covenant writing and interpreting the groups for the congregation. She also provides an excellent bibliography of other resources that will support group members in their journey of discipleship. Like nothing else, small groups have the power to change lives. They’re the ideal route to discipleship—a place where the rubber of biblical truth meets the road of human relationships. Regardless of whether a person is leading for the first time or has been for years, the leader resource will help a small group leader more effectively facilitate group discussion and encourage and support group members in a way that leads to authentic and lasting life change. The unique, ready-reference format highlights the requirements and responsibilities of a small group leader, gives helpful insight into the process of group formation and answers practical questions about meeting preparation and how to encourage group participation. It includes a model for discipleship within a small group and suggestions for dealing with some of the common roadblocks and struggles that most groups encounter. The “Leading Life-Changing Small Groups” workbook can be used as a stand-alone resource, along with coach and pastor training materials, or partnered with the eight-session training videos taught by the author, available on the Equipping Life-Changing Small Groups DVD. 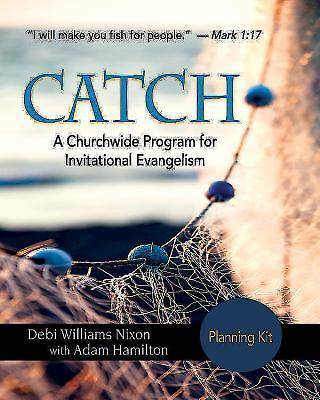 For those who want to lead small groups with excellence and truly witness life change in their small groups, this go-to guide offers practical answers and inspiring examples. Many congregations today find renewed vitality in Christ’s command that we serve one another with love. The Lewis Center’s Serve Your Neighbor resources help you build ministries of service outreach that can transform your church and community. Planning Kits, online video, and print resources. Real mission work, what Jesus was really talking about when He said “go,” is a long-term commitment to preaching the Gospel while serving other children of God. It’s not quick; it’s not easy. The trouble begins when short-term projects try to mix the positive vibes of good deeds with ministry. We should not be discouraged from taking these life-changing trips, but encouraged to do them smarter. For me, short-term mission trips were kind of like camp. Every summer I had the chance to go somewhere new and “help people.” For my husband, hosting short-term mission teams in Guatemala was part of what he and his family did. You don’t have to be the apostle Paul in order to share your faith. Relatively few of us are gifted in the area of evangelism. In fact, many of us have a rather dismal track record when it comes to sharing our faith. And yet, in spite of our evangelistic shortcomings, we want to share Jesus with others. Is there a way we can be involved in sharing the gospel without preaching like the apostle Paul? You may not be a gifted evangelist, but you do have the gift of servanthood. You can use that gift to reach out to your community with the love of God. For years Steve Sjogren has successfully used a simple approach called “servant evangelism” that allows any believer-regardless of gifting-to be involved in sharing God’s love with others. One of the great things about this approach is that you don’t have to do it alone. Sjogren offers 101 simple and effective ways your church or small group can demonstrate the love of God to those in your community. And when people see the love of God in action, they want to know more about Him. You can share your faith successfully — here are 101 ways to get started! A Ready Hope: Effective Disaster Ministry for Congregations is an introduction for people of faith who are new to the ministry of disaster preparedness and response. Authors Kathy Haueisen and Carol Flores have both personal and professional experience dealing with the tropical storms and hurricanes that have roared through the Gulf Coast region the past decade. Residents of Houston, Texas, they have worked closely with ecumenical faith-based and other nongovernmental networks, governmental groups, judicatory leaders, and congregations as they have assisted those affected by these disasters. A Ready Hope provides an overview of existing disaster-response networks, details the predictable phases of disaster recovery at both the individual and community level, lifts up helpful and unhelpful ways that congregational leaders and members can be involved in disaster response efforts, and provides resources to prepare congregations to respond appropriately to a disaster in their community. A variety of organizations bring help when disaster strikes. Faith-based organizations also bring hope to the survivors of the disaster and to the other rescue and relief workers who leave home to assist. This book will help people of faith equip themselves to be part of God s heart and hands when a disaster occurs. The best way to serve the poor when they ask your church for help. Jesus was generous, but he was also wise. When the blind beggar asked him for mercy, Jesus gave sight, not money; He knew what the beggar truly needed. The church desires to be like her Savior and give the poor lasting relief. But the issues of poverty are so complex that we often don’t know what to do. Steve Corbett and Brian Fikkert understand this well, and have written a tool to address this exact dilemma. “Helping Without Hurting in Church Benevolence “is a guidebook for walking with someone who approaches your church for financial assistance. “When Helping Hurts” is a paradigm-forming contemporary classic on the subject of poverty alleviation with over 300,000 copies in print. 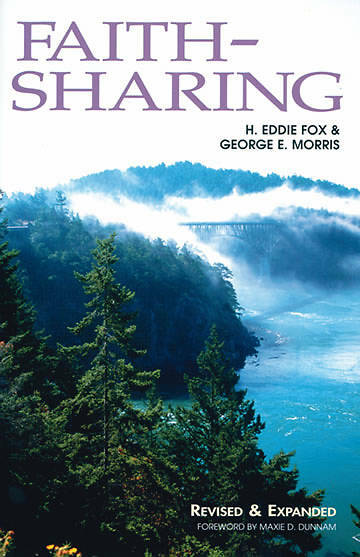 Now, this stand-alone resource applies the principles of “helping without hurting” specifically to short term missions. “Helping Without Hurting in Short-Term Missions” is aimed at the preparation and debriefing of short-term missionaries. It will take the fully-formed ideas of “When Helping Hurts” and apply them to short-term missions with theory, application, examples, and reader interaction through questions and journaling. It is an ideal resource for churches to use in preparing people to serve in a short term capacity without hurting the poor they are trying to serve. With eight units, six of which are built around free, online video content, Helping Without Hurting in Short-Term Missions ” is the ideal short-term missions team resource for training, discussion, application in the field, and reflection on the experience after returning. On airplanes, adults are told to put their mask on before helping others so they will be fully conscious. In churches, adults need to attend to their own spiritual consciousness before they can ably assist children and youth with faith formation. For 40 years, the Alban name has been synonymous with building up congregations and their leaders. Founded in 1974 by the Rev. Loren Mead, The Alban Institute pioneered new ways of enabling congregational leaders to be agents of grace and transformation that could shape and heal the world. Through its publishing house, educational offerings and consulting practice, it tackled vexing issues, such as conflict, transition, and mission in congregational and ministerial life – creating a rich, valuable resource for congregations, pastors and individuals alike. In 2014, the Alban Institute transferred all of Alban’s intellectual properties to Duke University. How does your congregation prepare new board members for their role? Many congregations offer board member orientation, but often the training has more to do with denominational polity and congregational policy, and less to do with the interpersonal demands of the role. And yet, the thing that most frequently trips up the new board leader is a lack of awareness about behavioral boundaries. This article shares some of the behavioral expectations we should create for our board leaders. Need practical, actionable strategies to reach people more effectively? The popular 50 Ways to Build Strength series provides tips for building strength in multiple areas of ministry that are vital to church growth. This article explores the ten stages of development in the life cycle and stages of congregational development. Be the Church Jesus calls us to be. Bob Farr asserts that to change the world, we must first change the Church. As Adam Hamilton says in the Foreword, “Read [this book] carefully with other leaders in your church. . . . You’ll soon discover both a desire to renovate your church and the tools to effectively lead your church forward.” If we want to join Robert Schnase and claim radical hospitality, passionate worship, intentional faith development, risk-taking mission and service, and extravagant generosity, we must also engage pastors and motivate churches. We must renovate and overhaul our churches and not merely redecorate and tinker with our church structure. With straightforward language and practical tips, this book will inspire and help you organize your church for new life on the mission field. Learn how to grow your church and discover the commitments that denominational leaders must make to guarantee the fruitfulness of local congregations. We all want revival. We talk about it, pray for it, and devise every evangelism strategy imaginable. We read about the Great Awakening and recall the Jesus Movement. And today we stand at the precipice of another sweeping spiritual outbreak that could reach the ends of the earth. But are we ready? Revival Culture is an inspirational, biblical, and empowering manual for the next generation of revivalists. Michael Brodeur and Banning Liebscher have been witnessing a spiritual renewal at Bethel Church in Redding, California, and through Jesus Culture, that goes beyond slogans and high hopes to actually reaching. They have learned that transformation happens when we see the unreached as Jesus sees them and when we make revival a part of our lives rather than an event. This is the full picture of revival culture. Henri Nouwen was a spiritual thinker with an unusual capacity to write about the life of Jesus and the love of God in ways that have inspired countless people to trust life more fully. Most widely read among the over 40 books Father Nouwen wrote is In the Name of Jesus. For a society that measures successful leadership in terms of the effectiveness of the individual, Father Nouwen offers a counter definition that is witnessed by a “communal and mutual experience.” For Nouwen, leadership cannot function apart from the community. His wisdom is grounded in the foundation that we are a people “called.” This beautiful guide to Christian Leadership is the rich fruit of Henri Nouwen’s own journey as one of the most influential spiritual leaders of the 20th century. Hearing a young attorney speak of the faith-based reasons for which he had just made a substantial monetary gift to a community youth center, Clif Christopher asked the speaker if he would consider making a similar contribution to the congregation of which he was an active member. “Lord, no they would not know what to do with it” was the answer. That, in a nutshell, describes the problem churches are facing in their stewardship efforts, says Christopher. Unlike leading nonprofit agencies and institutions, we too often fail to convince potential givers that their gifts will have impact and significance. In this book, Christopher lays out the main reasons for this failure to capture the imagination of potential givers, including our frequent failure simply to ask. Does your church have the necessary funds to do ministry? In Dr. Clif Christopher’s nearly forty years in ministry as a pastor and President of Horizons Stewardship Company, he has witnessed the financial stewardship practices of thousands of churches. A few have exceptional records in acquiring and managing the necessary funds for mission and ministry, but the vast majority struggle every year to get by. 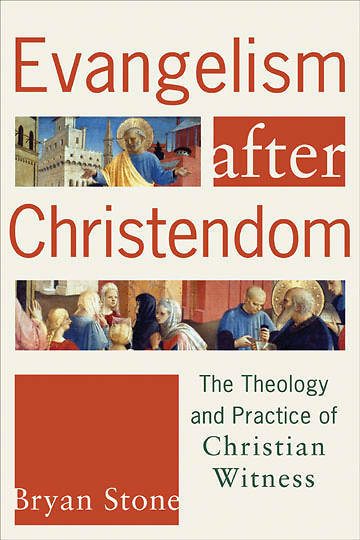 In this important new work made even more relevant by our economic times, Christopher contrasts the traits of the most productive congregations with those who perennially fail to secure the funds to perform transformational ministry. Some churches practice the necessary financial habits that form the foundation of successful ministry, and others waste valuable resources and undermine ministry opportunities. Through Christopher’s insight born out of years of experience and consultation, readers can assess the financial condition of their own churches. Congregations that seek growth are often frustrated at hitting a plateau-caught in a transition zone between sizes. The Alban Institute has long been recognized as a leader in size transition research and learning, and this anthology offers an in-depth collection of resources, through new articles developed for the book as well as previously published and highly regarded pieces that inform and provoke. People are searching for a church shaped and sustained by Radical Hospitality, Passionate Worship, Intentional Faith Development, Risk-Taking Mission and Service, and Extravagant Generosity. These fundamental practices are critical to the success of congregations. Their presence and strength demonstrate congregational health, vitality, and fruitfulness. By repeating and improving these practices, churches fulfill their mission to make disciples of Jesus Christ for the transformation of the world. Additional committee, small group, and devotional materials are also available. Good pastoral leadership is not a “by the numbers” proposition. It is a matter of heart and soul, of devoting the whole self to the vision God gives for the congregation in which one serves. Yet neither is it purely intuitive; it requires hard, careful thinking about the directions and details of the path down which God calls. When Adam Hamilton became pastor of the United Methodist Church of the Resurrection, its membership consisted of himself and his family. Ten years later the church averages between five and six thousand worshipers per weekend. Throughout this remarkable period, Hamilton learned many serious lessons about both the broad visions and the specific details of pastoral leadership. Bringing a depth of analytical skills often lacking in visionary leaders, in this book he goes beyond simply telling the story of Church of the Resurrection. He shares the questions that he learned to ask about the largely unchurched population to which Church of the Resurrection has reached out. Further, he demonstrates what he learned by listening to the answers to these questions, and how doing so has made possible a number of strategically crucial decisions the church has made. One of those crucial decisions was to make more traditional forms of worship and praise the center of the congregation’s life. The result is that the example of Church of the Resurrection offers pastors and church leaders (especially those in mainline denominations) the realization that they need not completely change their liturgical and theological identity in order to reach out to the unchurched. Drawing on his own experience, as well as the detailed research on the characteristics of highly successful congregations he undertook during a sabbatical leave, Hamilton offers pastors and other church leaders solid, substantive thinking on steps that congregations can take to become centers of vibrant outreach and mission. A fresh way of thinking about spirituality that grows throughout life. In Falling Upward, Fr. Richard Rohr seeks to help readers understand the tasks of the two halves of life and to show them that those who have fallen, failed, or “gone down” are the only ones who understand “up.” Most of us tend to think of the second half of life as largely about getting old, dealing with health issues, and letting go of life, but the whole thesis of this book is exactly the opposite. What looks like falling down can largely be experienced as “falling upward.” In fact, it is not a loss but somehow actually a gain, as we have all seen with elders who have come to their fullness. This important book explores the counterintuitive message that we grow spiritually much more by doing wrong than by doing right. No church is immune to the problems that can arise when parishioners behave in difficult ways. Responding to such situations with self-awareness and in a manner true to one s faith tradition makes the difference between peace and disaster. In this short book, Boers shows how a better understanding of difficult behavior can help congregational leaders avoid the trap of labeling such parishioners and exercise self-care when the going gets rough. 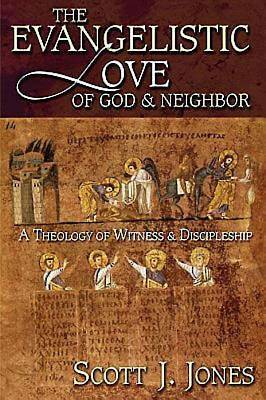 This anthology of articles gathers 20 classic Alban works on congregational conflict into a single, indispensable volume. Conflict Management in Congregations harvests the collected wisdom of many of the key thinkers on this topic, including such past and present Alban consultants as Speed Leas, George Parsons, Margaret Bruehl, Gil Rendle, Alice Mann, and Roy Pneumann. Much of the material found here has long been unavailable but is still much in demand. Divided into three sections that explore the dynamics of conflict, conflict management techniques, and dealing with conflict in specific contexts, this book serves as a comprehensive primer for pastors and congregational leaders. Pastoral-to-program size change is frequently described as the most challenging of growth transitions for congregations. Now Alban senior consultant Alice Mann, author of The In-Between Church: Navigating Size Transitions in Congregations, addresses the difficulties of that transition in this resource designed specifically for a congregational learning team. Conceptualized and developed by Mann for an Alban on-line seminar program test event conducted with 12 congregations in transition, her newest book features a five-step process enabling the learning team to engage a wider circle of congregational leaders and members in study, discernment, and planning. Never-before published resources include discussion of a major new concept—passive barriers to growth—plus Mann’s “System Change Index” tool to help congregations measure their progress from pastoral-size to program-size ways of operating. From preparing the congregation’s board and members, selecting the person to guide the learning process, and recruiting the learning team, to creating and celebrating a plan for congregational learning and action, Mann provides all the resources a congregation needs to address this significant size transition period.